This was a personal request from one of our group members. 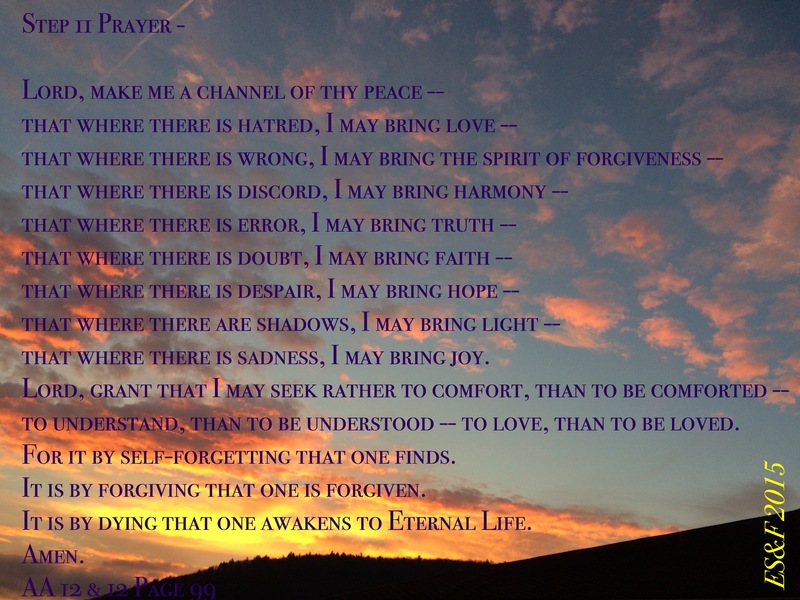 This prayer is from the AA 12 & 12. I hope everyone will find it helpful. My daughter took the picture of the sun rising while we were traveling this past weekend. I am embarrassed to admit this, but, I do not know what a digital app is. The 5 G’s is just something that I developed.